The RAF Museum London has re-opened after a multi-million pound redevelopment and our CIIM middleware is providing its digital content delivery platform on the web, mobile and in-gallery. Using CIIM’s flexible submission API, multiple publication endpoints and Portfolio DAMS integration, the project delivers data to kiosks, BYOD tours and the RAF Stories web and mobile app. 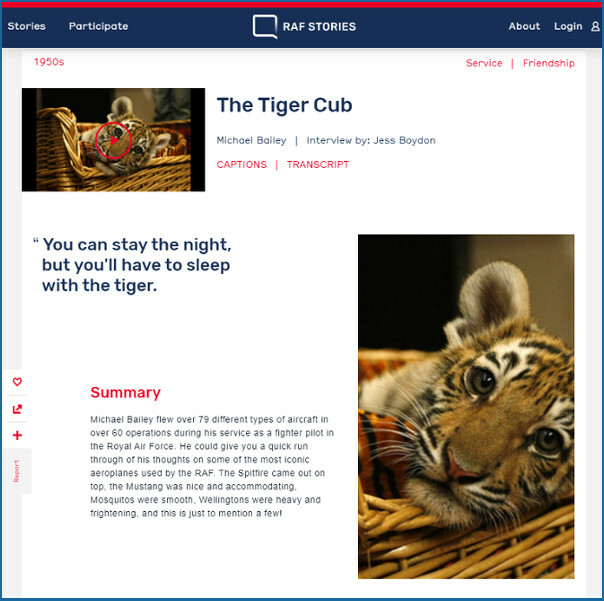 Data submission is from a mobile and in-museum authoring environment and CIIM also provides video transcoding functionality for delivery of video to mobile and desktop sites. Vernon systems collection management integration is to follow in Q4 of this year.